Donald W. Lane, Ph.D., Genealogical Research Database, 2009. Sullivan County Manuscript Collection 0076. Database and accompanying digital photographs were donated in November 2009 by Dr. Donald W. Lane of Kingsport, TN. Shelia Steele Hunt processed the collection and developed the finding aid in November 2009. This collection has special restrictions and copy limitations. Please ask staff regarding restrictions. 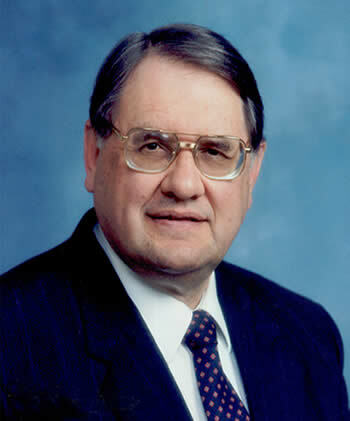 Donald W. Lane, Ph.D., Genealogical Research Database, 2009. MSS 0076, Archives and History Division, Sullivan County Department of Archives and Tourism, Blountville, Tennessee. The Donald W. Lane, Ph.D., Genealogical Research Database is a compilation representing several years of research. The database contains names and genealogical information on approximately 350,000 individuals and over 139,000 families primarily from the East Tennessee and Southwest Virginia region. 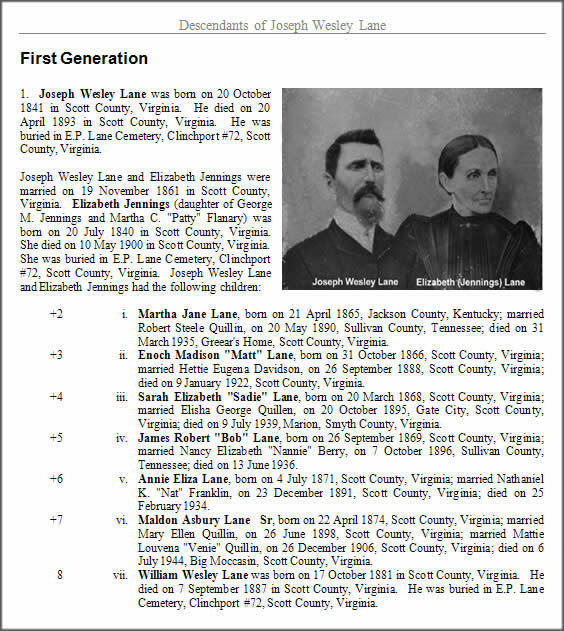 Containing links to over 7,400 images, the database is invaluable for genealogists and family historians researching ancestors in the East Tennessee and Southwest Virginia region. Major emphasis has been placed on, but is not limited to, the following family names, with over 500 occurrences of each surname in the database: Allen, Alley, Anderson, Arnold, Babb, Bailey, Baker, Baldwin, Ball, Barker, Barnes, Barnett(e), Begley, Bellamy, Berry, Bishop, Blair, Bledsoe, Blevins, Bowen, Brickey, Brown, Burke, Campbell, Carter, Castle, Childress, Christian, Clark, Cole, Collins, Compton, Combs, Cox, Crawford, Cross, Culbertson, Darnell, Davidson, Davis, Dean, Dingus, Dockery, Dougherty, Edwards, Elliott, Estep, Fields, Flanary/Flannery, Fleenor, Fletcher, Ford, Frazier, Gibson, Gillenwater, Gilliam, Graham, Gray, Hale, Hall, Hamilton, Hammond(s), Harris, Hensley, Herron, Hicks, Hill, Hillman, Hilton, Hood, Horne, Horton, Jennings, Jessee, Johnson, Jones, Ketron, Kilgore, Lane, Lawson, Light, McClellan, McConnell, McDavid, McMurray, Meade, Miller, Moody, Moore, Mullins, Nickels, Osborn(e), Owens, Pendleton, Penley, Pennington, Peters, Phillips, Pierson, Porter, Powers, Price, Quillen/Quillin, Ramey, Reed, Rhoton, Roberts, Robinette, Robinson, Rogers, Roller, Salyer, Sanders, Shelton, Smith, Stallard, Stanley, Stapleton, Starnes, Stewart, Strong, Taylor, Templeton, Thompson, Tipton, Vaughn, Walker, Webb, Wells, White, Williams, Wilson, Wolfe, Wood.